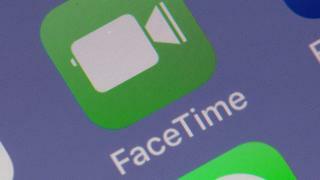 Apple has found a fix for a bug that let people eavesdrop on other FaceTime users when the person called did not answer. It said it was planning to release a software update next week to close the loophole. Once the fix is applied, it will also re-enable the Group FaceTime feature shut down when the problem was discovered. The “significant” bug was revealed by Apple news site 9to5mac. A mother and son from Arizona also reportedly told Apple about the issue but were ignored. The problem was found to occur when users of iPhones running version 12.1 of Apple’s iOS operating system used the group calling function of FaceTime. It was also found to hit Mac users who were called from an iPhone. The flaw meant the microphone on a recipient’s smartphone was activated, even if the call to them was not accepted. New York governor Andrew Cuomo issued a warning about the flaw and urged people to disable FaceTime until it was fixed. The New York authorities are now looking into whether Apple did enough to warn people about the problem.